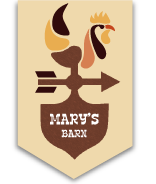 At Mary's Barn there are a host of recreational activities that will keep the whole family occupied whether it be indoors or outdoors. Once in a while, learn to get closer to nature, and at Mary's Barn we'll show you how its done. © 2017 Mary's Barn. All Rights Reserved.